Fig. 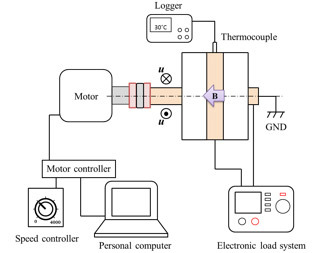 1 Schematic illustration of power generation method. Fig. 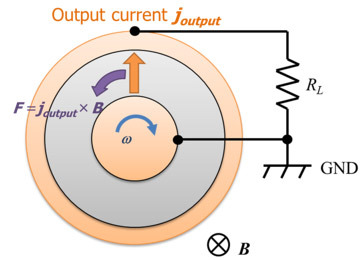 2 Lorentz force caused by output current. Fig. 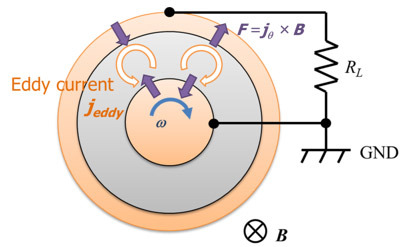 3 Lorentz force caused by eddy current. Fig. 4 Photo of developed experimental device. Fig. 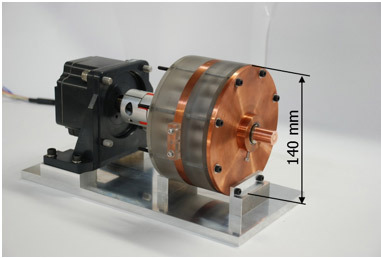 5 Cross sectional view of developed co-axial electromagnetic energy conversion device for wind turbine. Fig. 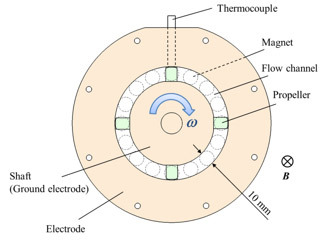 6 Experiment system with co-axial electromagnetic energy conversion device. 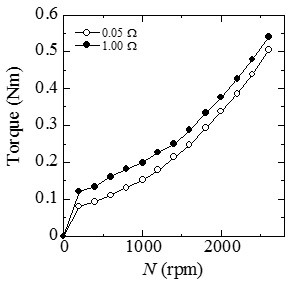 for external load resistances of 0.05 Ω and 1.00 Ω. (1) NEDO, NEDO offshore wind energy progress Edition II, http://www.nedo.go.jp/content/100534312.pdf, (2013), p.5. (2) GWEC, Global Wind Report 2012, http://www.gwec.net/wp-content/uploads/2012/06/Annual_report_2012_LowRes.pdf, (2012), p.13. 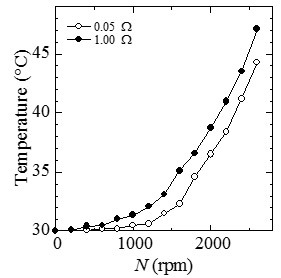 (3) H. Kobayashi, H. Shionoya and Y. Okuno, Turbulent duct flow in a liquid metal magnetohydrodynamic power generator, Jounal of Fluid Mechanics, Vol. 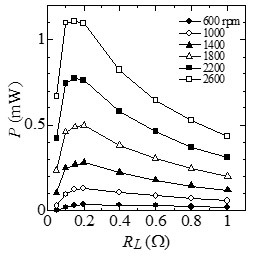 713, (2012), pp. 243-270.